I may have found an iPad application that is more practical for handwriting than Doodle Buddy, its called Notes Plus. Below is my first handwritten WordPress blog post. 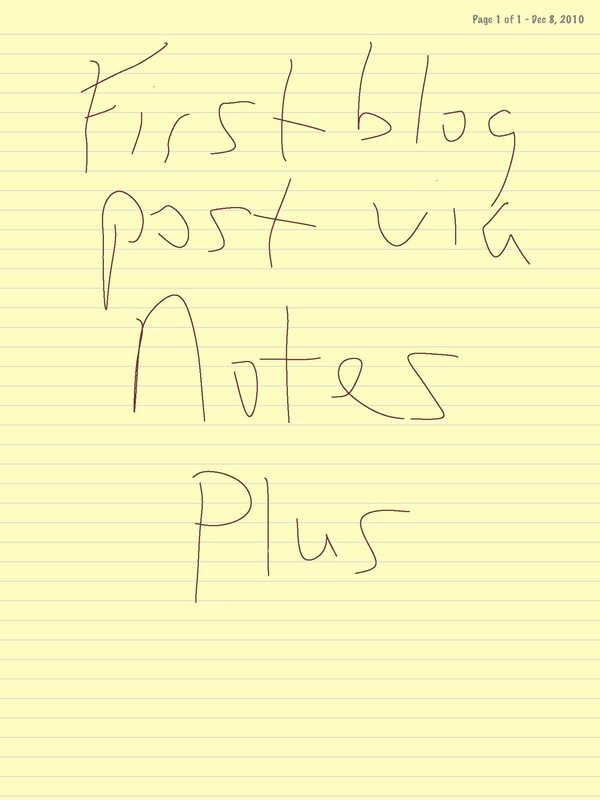 I wrote this post with a stylus and the iNotes Plus app on my iPad. This entry was posted on December 8, 2010 at 5:16 pm and is filed under First Blog Post With Notes Plus, iPad, iPad App. You can follow any responses to this entry through the RSS 2.0 feed. You can leave a response, or trackback from your own site.